During the summer we moved house, after 19 years of dodging Bentleys and Range Rovers and getting pushed around by the new locals in Ascot, we sold up to a developer so a couple more could move in. We then set course back to Surrey. One of the unforeseen results other than endless trips to the car wash as we are living down a muddy lane, and my children falling in love with ponies, was the TOTAL lack of both mobile coverage and internet access. We don’t live on top of a Scottish hill: we live less than 2 miles outside the M25 and only 1 mile from the M3 but the men at O2 and BT informed me that squirrels and deer don’t need this stuff, so they are not providing it for them. The broadband on our newly-installed telephone line hit a max of 300k and this is a superb speed if we are back in the 1990’s and used to 56k dial up. However, if your business involves using a computer and accessing information, then this speed is insufficient. The rest of the family began to rebel as they couldn’t skype email, download films, update their status and download pony pictures to pin all over the house. Luckily we have a great connection at the office so I could keep in touch when there. After discussing the problem with the techies at work, I have decided to install a satellite dish like Del Boy did in 1990. Not on my balcony diverting planes from Heathrow but on the side of my chimney stack. This would connect to a satellite high above the equator and then bounce it to a land station back on earth! The Satellite gives me 10 Meg down and 1 Meg up with a fixed IP via a satellite above the equator all for £19.99. The larger 20 Meg down and 2 Meg up is an affordable £22.99 per month. The only hitch is you need a 1 metre white dish, a firewall/wireless router and a man climbing around setting it up for a day. 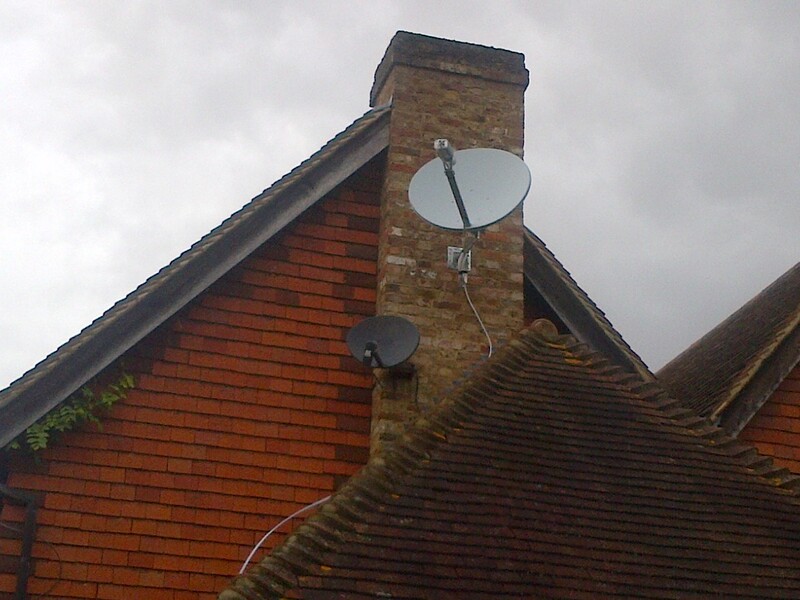 The dish costs £299.99, the installation on the roof was £190.00 though lower height installations cost less and the wireless router and firewall costs a further £150. Therefore a total of £639.99, but they do a leasing option for £19.99 per month for all the set-up costs on a three year contract. The end result is my wife can book gym classes, the children can surf, facetime, and email. They can update their status’s and tweet and the children are burning through colour cartridges like there is no tomorrow, printing Ponies pictures AND I can work from home one day a week and get some peace. If you live in a really poor broadband area and need speed then it’s either a few hundred pounds per month for a leased line with lots of potential excess construction, move house or you could, as S Club said in 2000 “reach for the stars”. Here’s the video for anyone that can remember tapping away to this one….